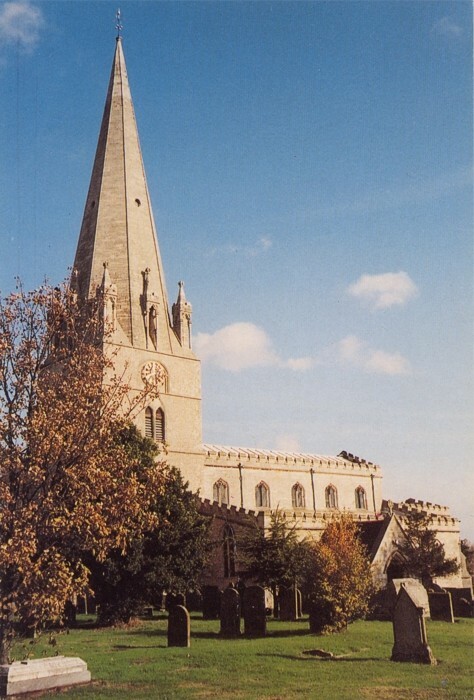 The Parish Church of St Mary Edwinstowe consists of a chancel, nave with north & south aisles, a western tower with spire, a south porch and a vestry. There was a church here before the Norman conquest. The Domesday Book records a church, a priest, and 4 Bordars. The church was given by William II to the Dean and Chapter of Lincoln. It is mentioned in their first Chronicle of 1146 with its Chapelries of Ollerton, Wellow, Thoresby, Budby, and Clipstone. It remained with them until 1878 when Earl Manvers exchanged it for St Mary’s Nottingham. Any earlier church was rebuilt in stone during the reign of Henry II reputedly as part of his remorse for the murder of Thomas à Beckett. The south aisle was built out as a chantry chapel by Henry de Edenstowe with a grant dated 1341 by the Prior of Newstead. During the same period the roof was raised and clerestory windows inserted. Much restoration work was done during the 1840s and again in the 1890s. Modern work includes a new main altar, a raised floor in the tower, a kitchenette and toilet behind the organ and a stitched parish map, 10' x 8', worked by members of the community.